Gabrielle is a motivational speaker, spiritual leader, entrepreneur, author, coach, youtube blogger, as well as a Kundalini yoga and meditation teacher. Gabrielle has been an amazing teacher / mentor for my own spiritual journey. 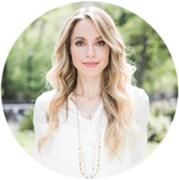 When Gabby visited Australia, I attended her workshop events and a few months later her Spirit Junkie Masterclass Teacher Training in New York. Words can not describe how thankful I am for discovering Gabby’s work and partaking in this amazing training experience. Brene describes herself as a researcher / story teller, author and motivational speaker. Brene’s work encompasses the study of vulnerability, shame, courage and worthiness. Brene’s 2010 TEDx talk The Power of Vulnerability was such an a-ha moment for me, I’ve since watch it many times. The talk inspired me to order and read Brene’s books which began my fascination with personal development. I just love Brene’s ideas on how to overcome fear and live with a sense of self worth, love and belonging. Kundalini Yoga is described as the yoga of awakening. It focuses on awakening the Kundalini energy that lies dormant at the base of the spine, through the regular practice of meditation, pranayama (breathing techniques), chanting mantras, asana (postures), mudras and bandhas (body locks). This awakened energy creates space, peace of mind, healing and raises energy levels to create a more balanced life and connects you with your higher self. I practice under Carolina Caldero at Kundalini Yoga Brisbane in their West End studio. When I first started looking into life coaching training, I enquired in online groups about the ‘best’ course to engage in. The answer I received, many times, was ‘Beautiful You Coaching Academy’. BYCA, run by Life Coach Julie Parker is an amazing heart centred course and is ICF certified. I found the training to be extremely thorough and at times challenging, nudging to push past barriers and expand. Not only does the course give confidence, tools and skills, but also incredible insight into setting up a coaching business. 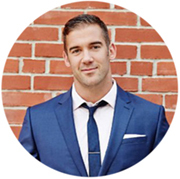 Lewis is an author, former pro-athlete, lifestyle entrepreneur and motivational speaker. Lewis founded the School of Greatness, an amazing self-help podcast talk show, sharing inspiring stories from brilliant thought leaders and business minds, weekly. Lewis is down to earth, humble and always expresses gratitude for the amazing people he interviews. With hundreds of interviews available to download for free on iTunes, the School of Greatness is an amazing resource of inspiration. We can often attract the same situations into our lives again and again, which can leave us questioning, ‘what is going on here?’. Sometimes it may not necessarily be an issue from this life time, and can be traced to issues in previous lives. Working with clients in a deep meditative state, Kirsty can guide clients to see past lives and any fear, phobias or traumas that came up in that life time, which can often assist with the same blocks in this life time. Kirsty has trained in New York with Brian Weiss, Psychotherapist.